Part of the joy of designing for our clients is how fun building a room is! 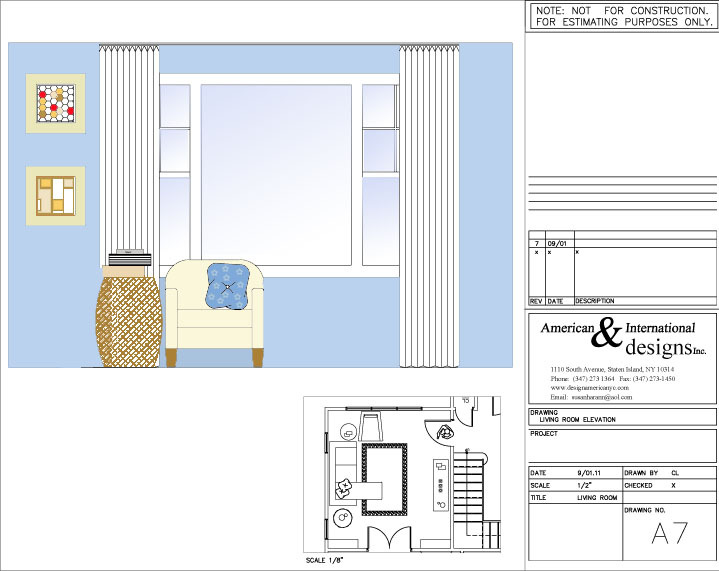 This is an example of an elevation drawing - the side view of a room detailing one wall. 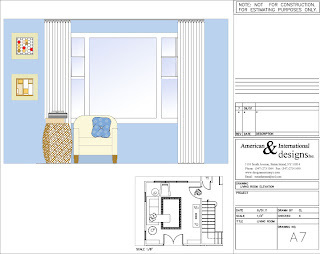 We present these types of drawings to our clients, showing color scheme and design concept, so that they have a better understanding of our vision and have a chance to discuss the design in more detail prior to work being started. It is so important to us for our clients to be pleased with our work, as they are the ones who will be living with it. This initial step is an important one in communicating between designer and client.